If you are frustrated with your marketing, your marketing is not generating revenue for your business. 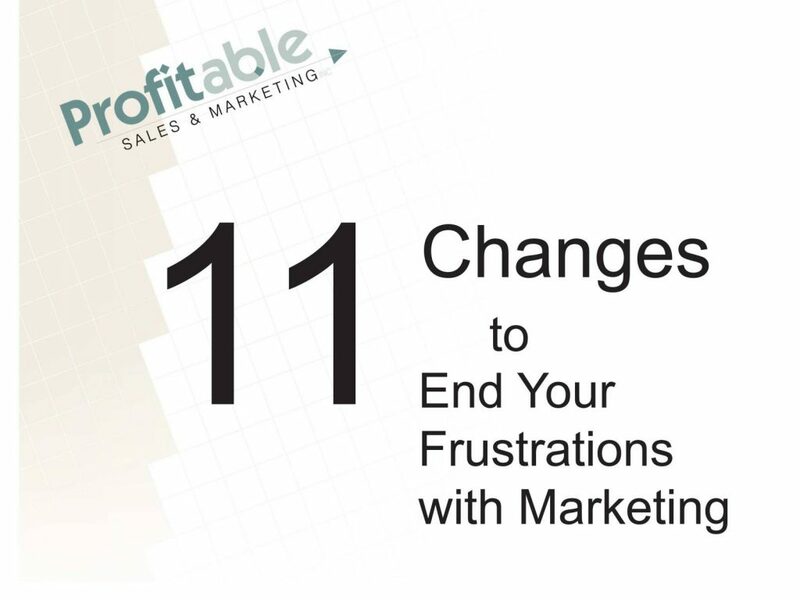 To end your frustration and generate revenue, you need to understand what is not working, the uniqueness of your business, the wrong reasons for buying advertising, which media work for your business, how to negotiate with media sales reps, and the fifteen questions to evaluate an ad. Once you do, you can use this knowledge to make changes. Elizabeth will help you make these changes in a workshop including a workbook and audio. Discover Elizabeth’s tip for each change. Upon completion of the workshop, you will have improved your marketing, ended your frustration, and developed profitable marketing.